Homeowners can improve a home’s curb appeal in numerous ways. With so many exterior factors to consider, from the siding to the windows to the landscaping, you may find it challenging to pick options that are effective yet affordable and easy. 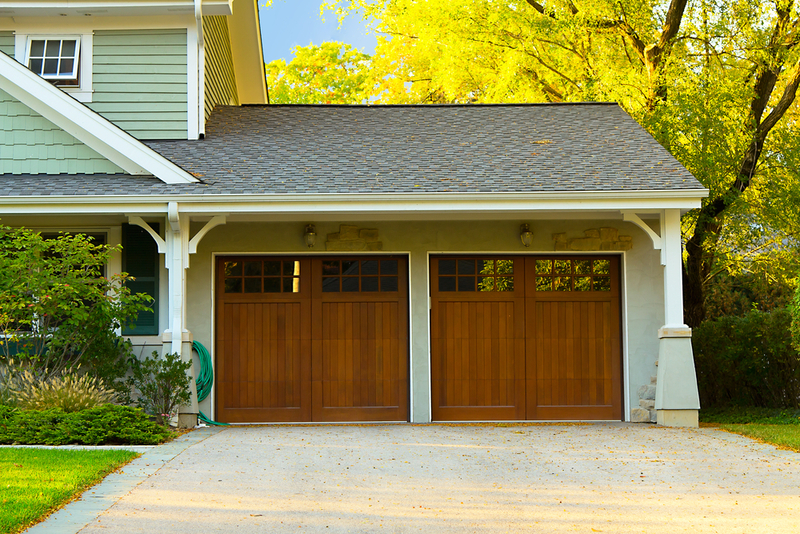 If you’re looking for a simple way to boost your home’s value, make improvements to your garage doors. Use the tips below to enhance this feature of your property. Many homeowners undervalue the aesthetics of their garage doors, picking standard options that are serviceable but lack flair. Yet there are myriad styles available that can add visual interest to your home. Replacing your existing door with a model that includes windows, for instance, will add value. Try a unit that has flush style or long-panel doors for a truly unique take. For a more subtle change, add unique hardware features, such as carriage house handles. Keep in mind you might need pre-approval from your homeowner’s association to change the look. Many garage doors are white or off-white. While this can be an attractive option, don’t feel you must stick with it simply because it’s prevalent. Consider the exterior appearance of your home. Installing a new garage door in a complementary hue from the exterior’s color palette can make a home look more cohesive and attractive to homebuyers. Garage doors are available in many pre-applied colors or can be custom painted. Wood doors offer a timeless appeal that’s not likely to go out of style. While more expensive than metal or vinyl, wood doors can increase the property value of a home. Metal and vinyl garage doors can also be designed to mimic the texture and appearance of wood. They’re also relatively low maintenance and long-lasting, which may be appealing to buyers looking for easy upkeep. If you want to upgrade your garage doors to improve your property's curb appeal, United Overhead Doors in Yonkers, NY, will help. For more than 65 years, they’ve helped homeowners and businesses install, maintain, and repair garage doors. Their team specializes in creating custom garage door systems for clients. Their factory-trained technicians are also available 24/7 for emergency services. Call (914) 964-0038 or visit them online to request a free estimate.